April 24, 2011 April 24, 2011 cooksomethingrva! I love a rich, bold red! Lately, the Cabernet Sauvignon is my wine of choice. I stumbled upon my new obsession at a local quick mart on Hugenot Road, of all places. 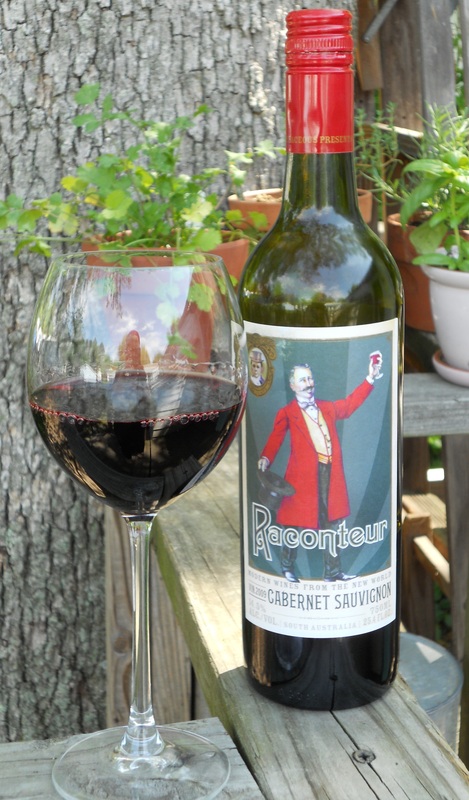 The Raconteur Cabernet Sauvignon from the South Australia company called Vinaceous is simply a delight to pair with a meal or a snack. I am in no way a true connoisseur of wines, although I would trade my day job for a chance to work as a sommelier. I do, however, know what I like in a wine. In a red I really enjoy a bit of sweet in the tannin bite that this cabernet delivers. Paired with a medium rare strip steak just off the grill and you have before you a meal that will know your socks off!